AVON LAKE — Ralph Nussle, 85, passed away Sunday, Sept. 9, 2018, at the Avon Cleveland Clinic Hospital. He was born May 1, 1933, in Warren, a son of Carl Nussle and Emilie Ginger Nussle. Ralph was a graduate of Warren G. Harding High School and The Ohio State University, where he received his Bachelor of Science degree in engineering. He served in the U.S. Navy as a meteorologist aboard the aircraft carrier the USS Lexington. He retired from NASA after 33 years of service as a mechanical and aeronautical engineer. 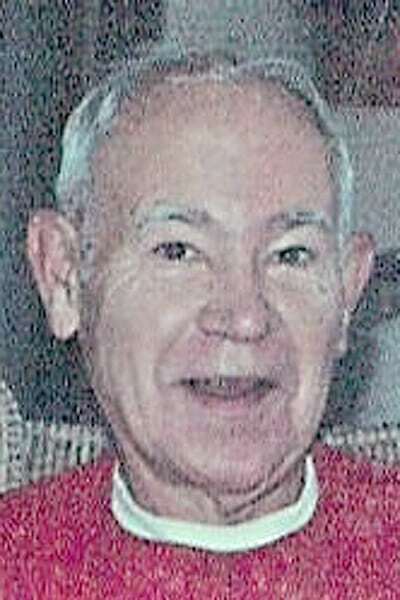 He loved attending all Avon Lake High School sporting events, and in 2000 received Avon Lake Sports Hall of Fame’s Vasiloff award, an annual award that recognizes an individual in the community who by their actions, accomplishments, demeanor and positive manner have supported Avon Lake athletics. Ralph was an avid bicycle rider, seen and known by many around Avon Lake. After his retirement from NASA, he worked at the Avon Lake Public Library as the library’s first “science guy,” setting up experiments in the library’s new Discovery Center. He was active in the Lake Shore United Methodist Church. He enjoyed serving as a high school football referee during his years in Huron. Ralph is survived by his children, Susan (Chuck) Payne of Cary, N.C., Patty Nussle of Columbus and Herbert (Beth) Nussle of Westlake; former wife, Carol; and four grandchildren. He was very proud of his children’s and grandchildren’s accomplishments. He was preceded in death by his parents; and siblings, Norman (Bud) Nussle, Larry Nussle, Rita Wells and Diana Holzbach. In lieu of flowers, memorial contributions may be forwarded to Lake Shore United Methodist Church, 33119 Electric Blvd., Avon Lake, Ohio 44012. Friends may call 4 to 7 p.m. Thursday, Sept. 13, 2018, at Busch Funeral Home, 163 Avon-Beldren Road, Avon Lake, Ohio. Burial will be 9:30 a.m. Friday, Sept. 14, 2018, in the Ohio Western Reserve National Cemetery. Services will be noon Friday at Lake Shore United Methodist Church, 33119 Electric Blvd., Avon Lake, Ohio 44012.